Here is a very nice looking and well preserved, all original Flying V. I plan to excavate and photograph this guitar. In the future, more photos and information will be forthcoming. 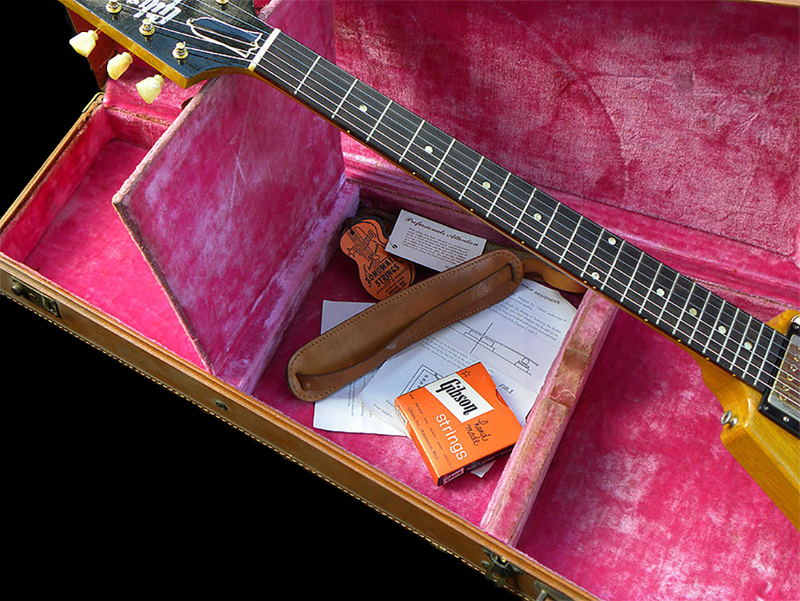 This guitar was featured in the Dream Guitars book project that I participated in back in the early 1990's.